Sharpen your self-defense reflexes and learn split-second counterattacks with Coach Jeff Burger. 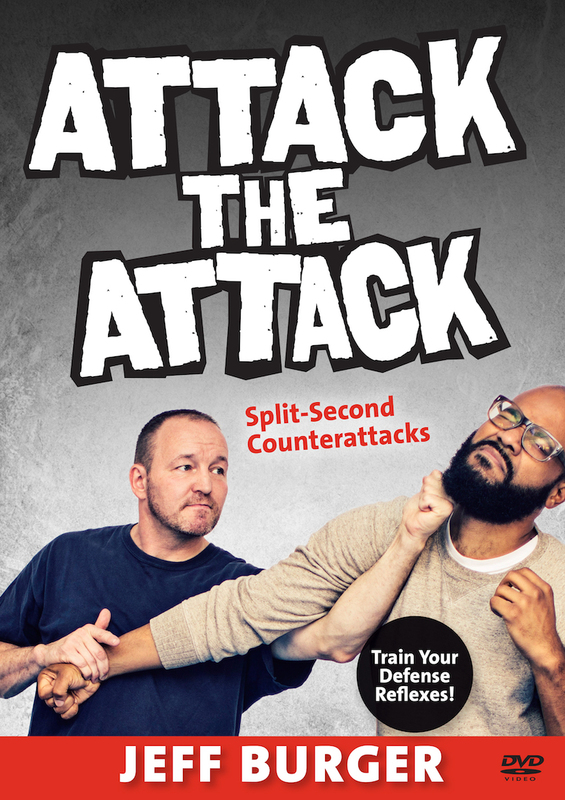 In Attack the Attack, Coach Jeff Burger teaches you to instantly defend yourself and inflict maximum damage at the same time, using dozens of proven techniques. Whether you are attacked on the street or fighting in the ring, you will only have a split second to react. Street violence is on the rise, and your training must involve simultaneous counters to be effective. The ultimate goal is to develop a reaction that simultaneously improves your position and worsens the position of the attacker—a reaction that protects you and harms him. This modern principles-based system of defense includes the defensive progression: a chronological breakdown of the attack and all possible outcomes. You will analyze your beat efficiency and determine how many blocks and strikes it takes to complete the task. You’ll learn about the OODA loop (observe, orient, decide, and act)—the neurological steps you go through when reacting. Whether you are a beginner or an experienced martial artist, you will develop a proper mind-set and exceptional self-defense reflexes.